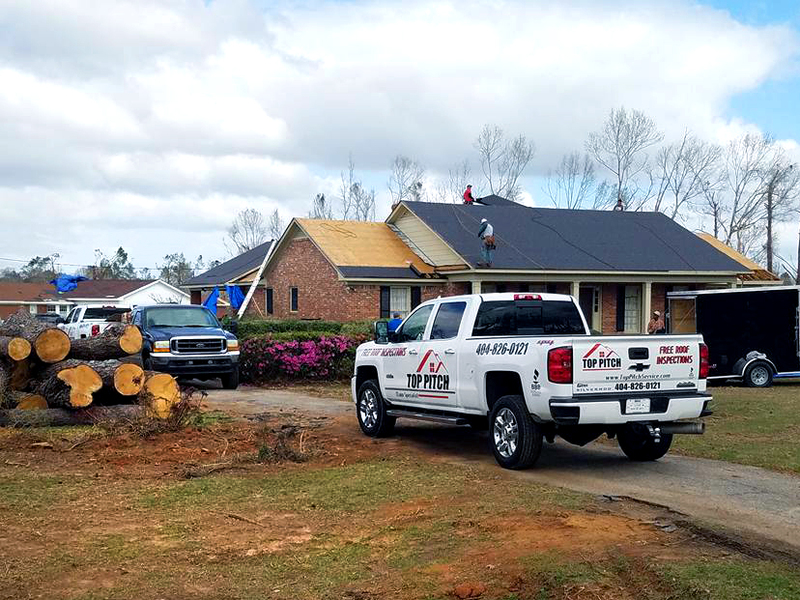 Top Pitch provides homeowners peace of mind with their certified professionals taking care of the first line of defense for homes, your roof. 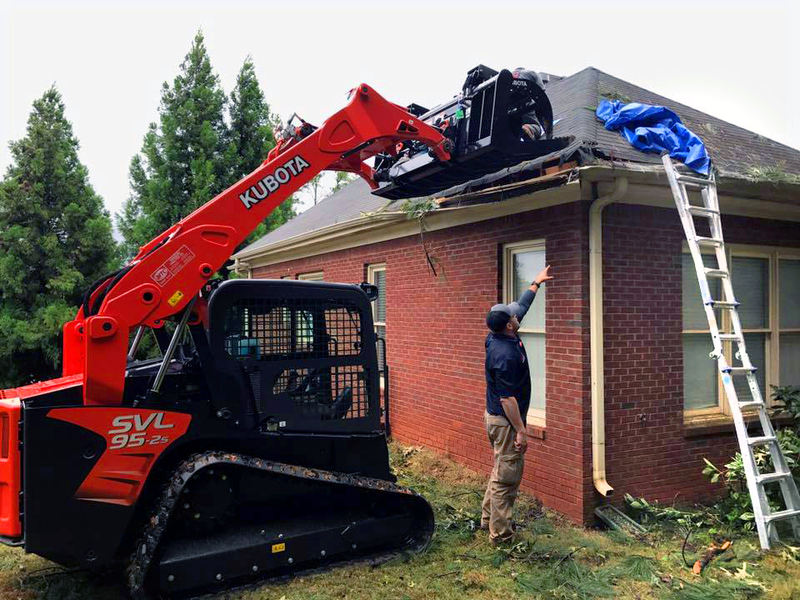 It's important to protect your investment against water and wind damage which can jeopardize the structure of your home and all your prized personal possessions inside. With a free inspection you can be informed on the current status of your roof. Should there be a need for repairs, Top Pitch will provide you with advice and tell you what steps to take to return your roof to like-new comfort and security. Thank you! Top Pitch will be in contact soon to schedule your FREE roofing estimate. 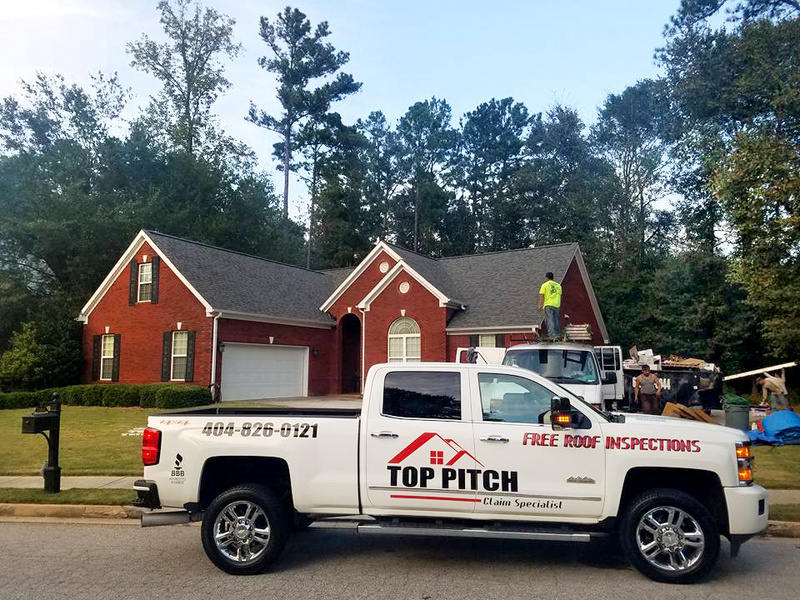 Top Pitch uses Owens Corning Certified Roofing materials and provides a 30-year Owens Corning Oakridge Warranty on the True Architectural Shingle and a 10 year Craftsmanship Warranty on installation. They provide a 25-year Warranty on the Supreme 3-Tab Shingles. In addition, Top Pitch provides upgrades mandated by State Code Requirements and install Drip Edge and Ice and Water Shields. Most shingles used today are asphalt fiberglass shingles. They are affordable, durable, and last between 20 and 50 years. Several colors of shingles are available, giving you the most pleasant appearance to complement the style of your home. It is important to have knowledge about shingles present on your home and be able to anticipate repairs rather than wait for incidents of leaking and then try to respond. Take a closer look at the True Architectural and Supreme 3-Tab shingle options available. Metal roofs are more of an investment price wise but can last as long as the house! They are top of the line for sealing out water, surviving high winds, and easily shed snow and ice. In addition, they are lightweight and reflect radiant heat from the sun lowering your energy costs for air conditioning. Top Pitch offers metal roofs in a variety of colors and can install them as standing seam, screw down, or "R" panels. Metal types available include galvanized steel, galvalume steel, aluminum, copper, Terne and TCS, and Zinc. A very economical choice for flat roofs. It is composed of three or more layers of fiberglass membrane coated with hot asphalt, with a top layer of gravel or mineral blends to protect the surface from weather, UV rays and mechanical damage. One of the most common residential low-slope systems, modified bitumen combines hot asphalt (bitumen) with plastic and rubber additives which are layered between sheets of fiberglass or polyester. Its lifespan is determined by the number of layers installed. Modified bitumen roofing exhibits many characteristics of BUR yet affords the ease of application of a single-ply system. These membranes are resistant to heavy traffic, punctures and tears. This represent the fastest-growing segment of the U.S. commercial roofing market. Short for polyvinyl chloride, PVC is a sturdy, single-ply roofing membrane proven to perform well on both residential and commercial roofs. TPO, or thermoplastic polyolefin, is a newer heat-welded, single-ply roofing membrane that costs less than PVC and offers a 10-year rating. TPO reflects solar heat, making it a popular choice where energy efficiency is important. Both PVC and TPO are aesthetically pleasing, lightweight and highly resistant to wear. Top Pitch will be in contact soon to arrange your FREE estimate. Thank you! All cities within 150 miles!